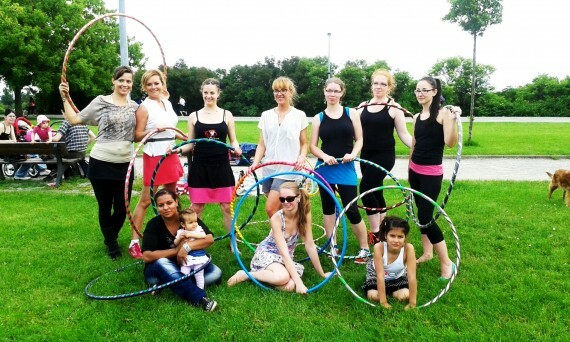 I had an idea to introduce you to new Hula-Hooping classes in Prague run by Hoopnotica Academy. 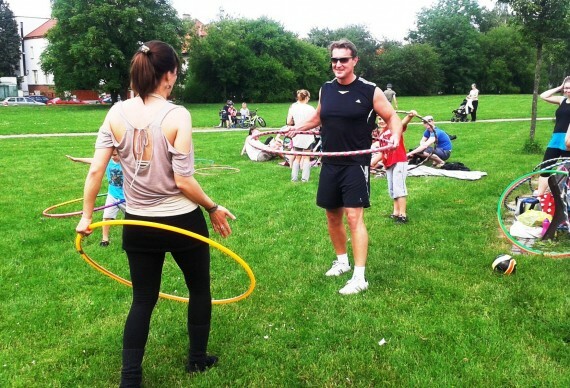 I learned all about it from my friend Edita – who is the first certified Instructor to bring Hooping to the Czech Rep., its real fun for anybody. The reason I am writing about it here is, that when Edita hosted a Hooping gathering in Ladronka park, the interest of the public especially from mothers and their daughters was enormous. Every girl passing by was mesmerised by the Hula-Hoops and wanted to try it. By Hooping you loose 400-600 calories per hour!!! Not bad for a simple piece of plastic!! Its easy, fun and the whole family can join in. Once I got hold of the Hoop I could just go on and on. I was truly surprised how big hooping is in the world. Learning the basics took me like 5 minutes…. the rest is a matter of training and the time you wish to spend on it. For example chest hooping takes some time to learn. Edita fell in love with Hooping in the US and decided to introduce it to Czech Republic as well as to the whole of Europe. She became a certified Hooping Instructor and now runs classes in different parts of Prague as well as providing certification to whomever wants to become a Hooping Instructor themselves. I also never knew there is a big difference with Hula-Hoops. When you start Hooping you use a slightly heavier Hoop for better to control. Once you feel comfy enough you can start using the Propylenthylen hoop – which is much lighter but harder to control. And..the Hoops can be very pretty too! Edita also distributes Hoops from the USA. I was shocked when I learned 1 Hoop costs 1.000 – 1.500czk… I thought I saw them cheaper in sports shops. I was explained its all abut quality and the materials its made of, so you don’t end up with a broken Hoop after 3 lessons. Makes sense to me. I dropped the Hoop so many times at the beginning that I finally understood it must be a solid one if you want it to last. Never mind my husband… :-) She can also provide Kids Hula-hoops. 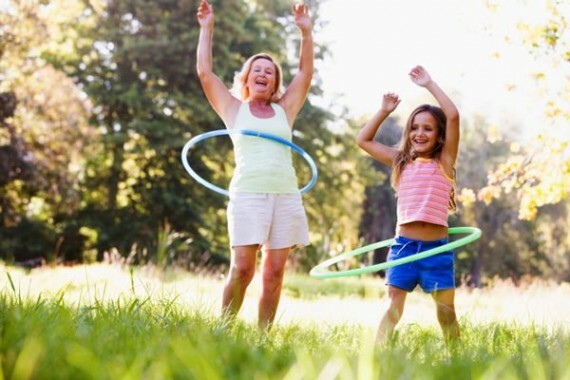 Little girls love to wriggle with a Hula-Hoop and its so easy to practise at home, in the gym in the garden… an easy way to trim your body with a quite painless effort. For now Edita is not running kids classes but its on the cards. If any school would be interested she can run lessons in fluent English. She not only speaks English but also Swiss-German and she would love to run Hooping Classes for kids as she has mothers coming with their little daughters together because age isn’t important here at all. An interesting thing about Hooping is that it is like a form of meditation. You know the Darvish Dancers who twirl on one spot for hours? The spinning motions works on our mind calming it down, creating a state of ecstasy which is usually reached (over time) through meditation. Supposedly, after Hooping Class you should be relaxed just like after a Yoga Class. Following is a Guest report from 1 local Mother. Here is what she said. “After the birth of my second child I decided it was time to shift those extra kg I had put on through having children. I was having trouble shifting the weight around my middle (what I call my mummy tummy) and needed an exercise to target this area. I tried many different exercises but found none I enjoyed. I am a true believer that you enjoy what you do if you will stick to it. I heard about the Hula hoop and its benefits, so I decided to give it a go with a hula hoop from Hoopnotica and purchased 1 from their website. 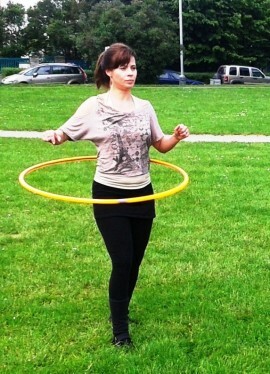 I have never used a Hula hoop before, but it only took me a few hours of practice and I had it. I then put it into my existing exercise routine and after five times a week for two weeks, half an hour at a time; I had lost 2kgs and a quarter of an inch around my waist. I love the Hula hoop and love what it is doing for me. 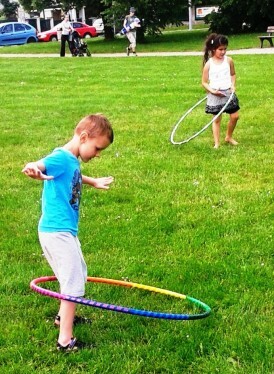 It’s fun and my kids love to hula hoop with me as well :0) - just recently we have made it part of our family routine. My husband joins us from time to time as well! I have also attended some of the free hoop jams of Hoopnotica Europe they organize on weekends at Ladronka Park, Prague 6. You just turn up with your Hoop and practise and learn with others under the blue sky. 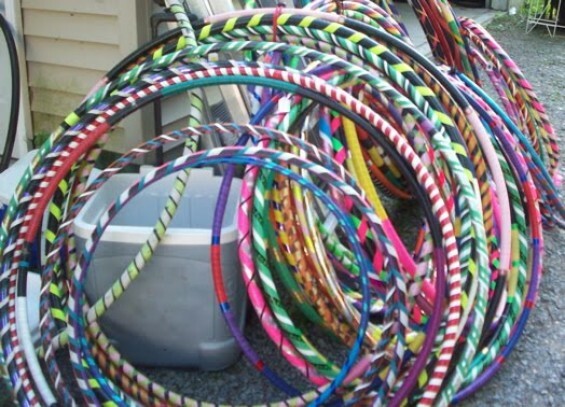 If you wish to come and dont have a Hoop let Edita know and she will bring one for you to try. I took my kids there too and they loved it! I am looking forward to join their classes from September. 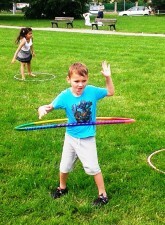 I was little bit skeptical because I wasn’t sure I’ll be actually able to hula hoop. But I must say this amazing activity has really boosted my confidence as I saw how fast I was able to do it ! I really highly recommend this activity to anybody who is fed up with traditional fitness exercise and loves to try something new that is highly effective and a lots of fun!! !